Jim Whitesell, the University at Buffalo’s associate head coach for the last four seasons, has been named the 14th head men’s basketball coach in school history, athletic director Mark Alnutt announced on Saturday afternoon. At St. Louis, Whitesell served as Associate Head Coach for the nationally-ranked Billikens during a pair of NCAA Tournament runs in 2011-12 and 2012-13, where SLU’s combined record was 54-15. Hired by late Saint Louis head coach Rick Majerus, Whitesell was a part of a record-setting campaign at SLU in 2012-13, where the Billikens posted an all-time best 28-7 mark, captured the Atlantic 10 regular season and championship tournament title, reached the NCAA Third Round and finished the season with a national No. 13/16 ranking. In 2011-12, Whitesell helped Saint Louis post a 26-8 record, the third-most wins in program history. The Billikens earned an at-large bid to the NCAA Tournament and topped Memphis in the Second Round. Whitesell joined SLU after spending the previous seven seasons as the head coach at Loyola (Chicago). Prior to his time with the Ramblers, Whitesell was head coach at NCAA Division II Lewis University (Ill.) (1992-2004) and NCAA Division III Elmhurst College (Ill.) (1987-92). He amassed a career record of 387-301 in 24 seasons. 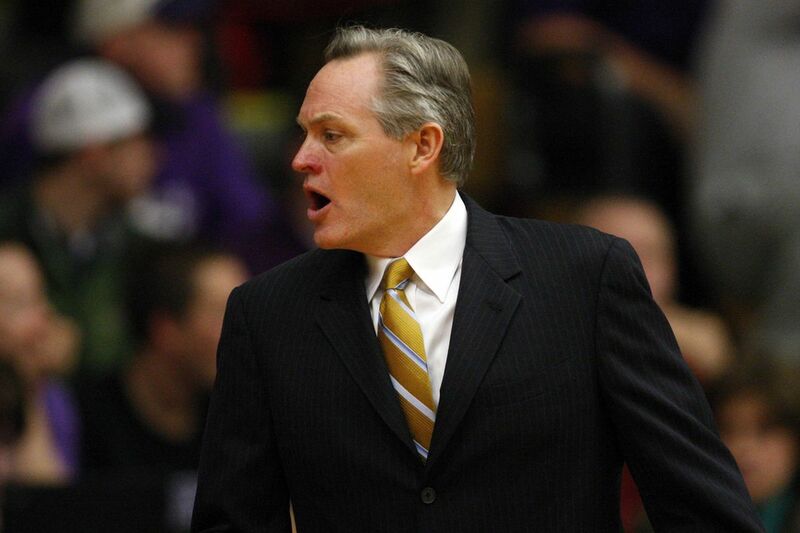 Whitesell also served in assistant coaching roles at North Dakota (1982-83 – graduate assistant), Ellsworth C.C. (Iowa) (1983-84), Wabash Valley C.C. (Iowa) (1984-85) and Minnesota State (1985-87). Whitesell guided the Loyola (Chicago) Ramblers to 109 victories in seven seasons, including a 21-win campaign in 2006-07, which was the program’s first 20-win season since 1985. Most recently, Whitesell was inducted into the Lewis University Hall of Fame as he led the Lewis’ men’s basketball team for 12 seasons guiding them to 10 winning seasons, eight seasons with at least 18 wins and four seasons of 20 wins or more and five trips to the NCAA Tournament. His best season came in 2001-02 when he led the Flyers to 25 wins matching the school record set by the 1985-86 team. His squad finished the GLVC regular season tied for second with Northern Kentucky at 15-5 and was seeded third in the GLVC Tournament.